Batting: Jos Buttler 80* off 101 balls, Sam Curran 20 off 38 balls. Batting: Imam-ul-Haq 34 off 64 balls, Usman Salahuddin 33 off 102 balls. 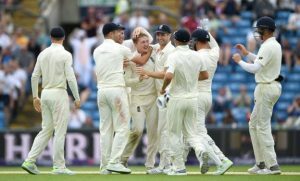 Bowling: Jim Anderson 2/35 in 10 overs, Stuart Broad 3/28 in 12 overs, Sam Curran 1/10 in 7 overs, Chris Woakes 1/18 in 6 overs, DM Bess 3/33 in 11 overs. England started the day with 3 wickets in hand and a 128 run lead over Pakistan. 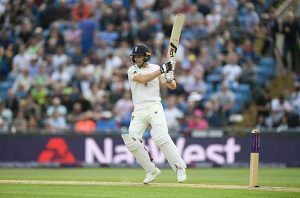 The English batsman Jos Buttler was accompanied by Sam Curran and both looked to take this lead over 150 runs. On the other hand, Pakistani bowlers needed a plan to get England all out as soon as possible to give themselves a chance of winning this test. Sam Curran was batting beautifully however, his innings didn’t last long as Amir created pressure from one end and Abbas took his wicket from the other end. Stuart Broad now joined Buttler on the crease but his stay was cut short by Faheem Ashraf as Broad returned to the pavilion after scoring only 2 runs. Buttler then went berserk as he reached 80 runs and was now eyeing a century. However, Pakistan were quick to change their tactics as they didn’t allow Buttler to gather a run and now Anderson was on strike for the 107th over. 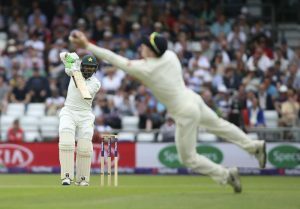 And it was Hasan Ali who took the wicket of Anderson in the 106th over and England concluded their innings with a sizeable lead in their hands. Pakistan’s openers namely Azhar Ali and Imam-ul-Haq came out to bat with a point to prove as both had failed to score in the 1st innings of this test. Although, Imam looked solid however, Azhar was nowhere near of being confident and he was exploited by Jimmy Anderson who uprooted his stumps to claim the 1st wicket for his team. 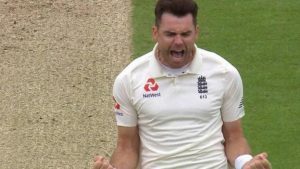 After this wicket, the next two wickets fell in quick succession as Anderson and Broad struck in short intervals to get rid of Haris Sohail and Asad Shafiq. At this point, Imam and Usman started to bat cautiously and racked up a 42-run partnership to defy England any more wickets. However, after Bess pinned Imam lbw the floodgates opened as Pakistani batsman started to fall like nine pins. Woakes got the wicket of the Pakistani captain followed by Curran who took out Shadab just two overs later. This time even Pakistan’s lower-middle order couldn’t come to the rescue as every single one of them fell in single digits as Broad took the last two wickets to hand Pakistan a thrashing defeat. End of 2nd Test – (Pakistan Vs England): That is it for today. Do comment down below to let us know your thoughts on the result of this test match.